APPLES! I love coming up with apple themed learning activities. 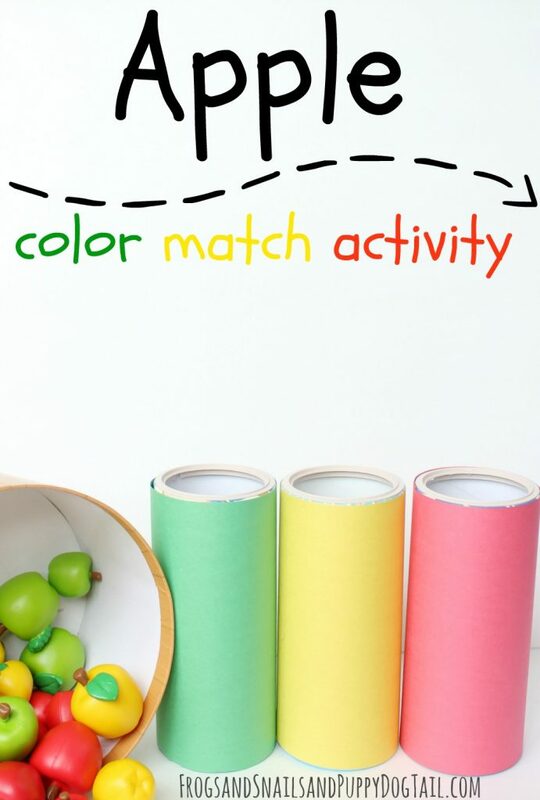 Today I am sharing a DIY apple color match activity for kids. This was so easy to make and my child loved it. We can also reuse this over and over. 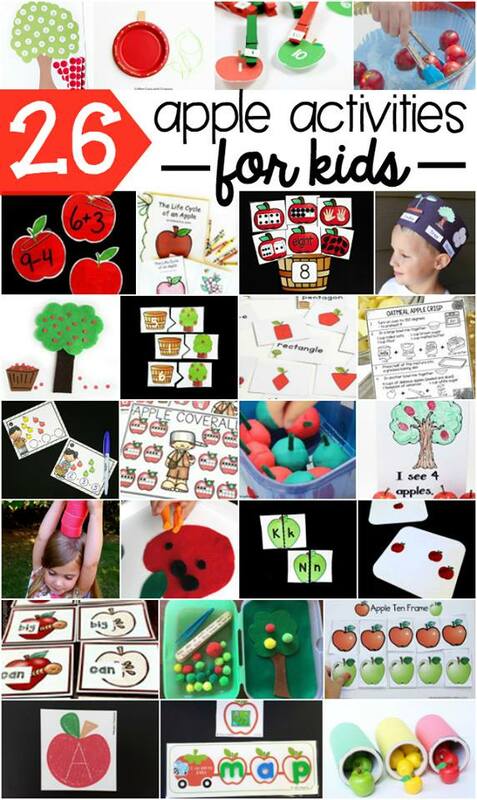 I like that this activity can be modified to include counting with apples too. 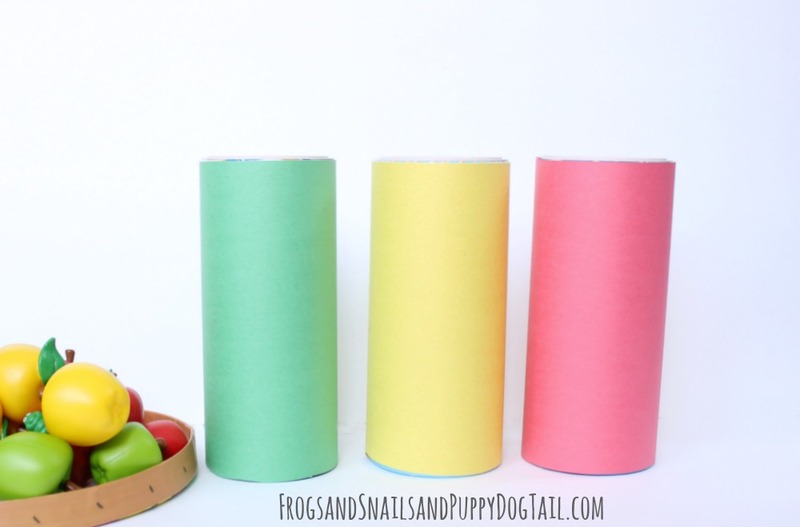 I look forward to getting a lot of use out of our DIY apple match up. tissue tubes – you can use other containers or tubes you might have. apple attributes – you could use pretend apple fruit or apple erasers. 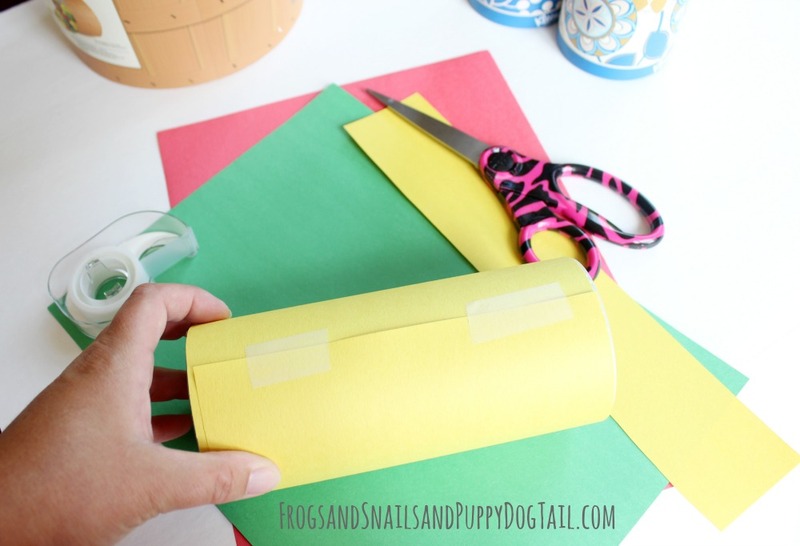 Place the tissue tube on the construction paper. I put a mark were I needed to cut off the excess paper. After cutting the paper I placed the tube back on the paper. I used tape to tape the paper around the tube. I did this for each of the three tubes. We now had a red, green, and yellow tube for our color match activity. Now that the color tubes were ready we could start color matching. 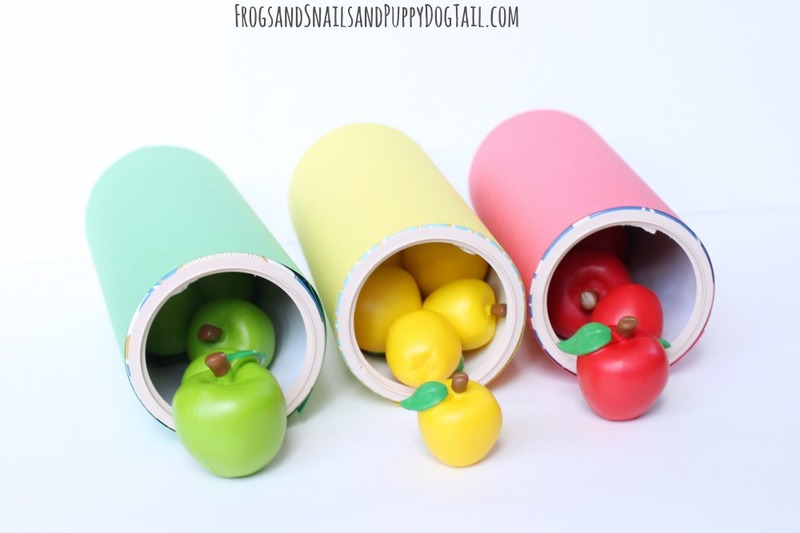 I opened the container of apples and sat them beside the colored tubes. My son was so excited to get started. 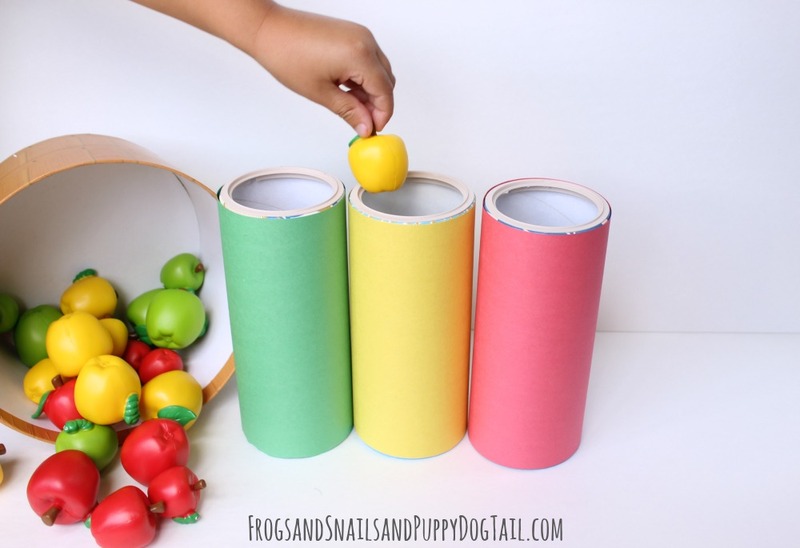 He matched all the yellow, red, and green apples to the matching color tube. You could even write the color on the tube with a marker. After matching all the apples up we dumped them out and then counted as he filled each tube with apples. The attribute apples are great for picking out big and small. They are also great for making patterns too. We have even used them in a few sensory trays. 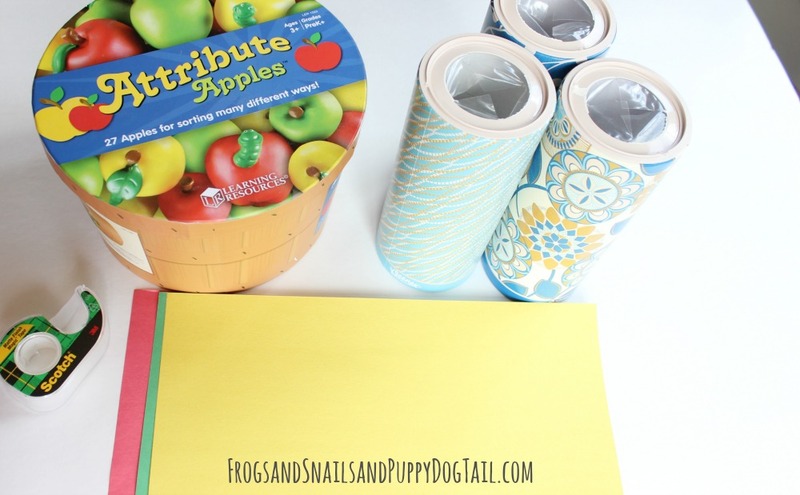 See here Edible Apple Sensory Bin and Apple Scented Sensory Noodles. This was a great color learning activity for my son. It was also a great busy activity for him if I need to get a few dishes washed… We look forward to getting this out again real soon to play with. I love this activity! My little boy is just starting to enjoy to sort out objects by colours and is so much fun.